Brazilian Teak Commonly called Cumaru is a very hard and dense wood imported from Brazil.Brazilian teak is a very popular hardwood flooring material in China timber flooring market as well as in other countries with its excellentdurability & high termite resistance. Except for great hardness & amazing high termite resistance ,people like unfinished brazilian teak flooringbecause of its perfect natural coarse and wavy grain.C&L hardwood brazilian teak floors comes mostly with clear grade,free of defects,little cracks and knots.So it is also one of the best selling timber species among all other varieties. 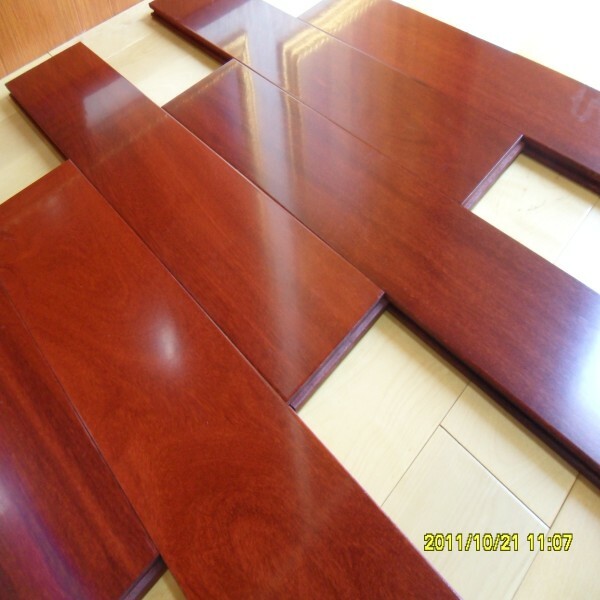 Unfinished Brazilian teak hardwood has been used as dance flooring material with excellent dent resistance,even with high heel shoes to step on the flooring,you do not need to worry about the severe surface damage. C&L hardwood offer unfinished brazilian teak (cumaru) flooring with increditable low price directly from our China factory.The wide palnk cumaru solid wide plank floor 5"x3/4" in premier grade is priced below 3.6USD/S.Q.F. For big volume buyer,more inquiries are welcomed!